A Ganglion cyst is a localised, tense cystic swelling in connection with the joint capsule or tendon sheath. It contains clear gelatinous fluid. The aetiology is yet to be known. Myxoid degeneration of fibrous tissue of capsule, ligaments and retinaculae has been suggested. This is sometimes initiated or excited by injury. According to some, ganglion arrises from small bursa within the substance of the joint capsule or the fibrous tendon sheath. This bursa becomes distended possibly following trauma giving rise to a ganglion. Synovial herniation is the probable cause of ganglion has been rejected. Ganglion is a cystic swelling containing clear gelatinous fluid or viscous fluid. It is surrounded by fibrous capsule and it posseses small pseudopodia. Flexor aspect of the fingers, where small ganglion may develop. The patient often is a young adult. The most common presenting symptom is a painless lump. Occasionally there may be considerable pain, which is often seen in case of ganglion on the flexor aspect of the finger. The lump is well defined , cystic swelling, but is often felt firm or even hard (as the cyst is very tense). Mobility is not much, though it can be moved with great difficulty sideways. It is immobilise along the axis of the tendon. When it arises from the fibrous sheath of a tendon, the swelling becomes fixed as the tendon is made taut. Immobilization" Because activity can make the ganglion cyst grow larger, your doctor may recommend wearing a wrist brace or splint to immobilize the area. This helps your hand and wrist to rest, which may help shrink the cyst. As the cyst shrinks, it may release the pressure on your nerves, relieving pain. A strike on the cyst will cause rupture on the cyst with apparent belief of cure (previously it was done with the holy bible in the west). But with this ganglion cyst treatment recurrence is common. Massaging the ganglion. Rubbing the ganglion gently but often during the day may help move the fluid out of the sac. Do not smash a ganglion with a book or other heavy object. You may break a bone or otherwise injure your wrist by trying this folk remedy, and the ganglion may return anyway. Complete excision is the best ganglion cyst treatment. This is usually done by using a tourniquet. The ganglion is removed completely. Care must be taken to remove all the pseudopodia and the fibrous layer from which they arise. The excised specimen should be sent for biopsy as very occasionally there may be some neoplastic change, particularly synovium. Keep the affected limb elevated for up to 48 hours to help reduce swelling. You may experience discomfort, swelling and tenderness for two to six weeks. Your doctor may recommend analgesics, such as acetaminophen (Tylenol, others), or non steroidal anti-inflammatory drugs (NSAIDs), such as ibuprofen (Advil, Motrin, others) or naproxen (Aleve, Naprosyn, others), for pain relief. Change your bandages (dressings) as directed. Depending on the location of the cyst, your doctor may recommend temporarily wearing a splint or brace to help minimize postoperative pain. In most cases, however, moving the affected area soon after surgery is recommended. As the incision heals, it's important to watch for signs of infection, including redness, swelling or discharge. Therapy is sometimes utilized after surgical and non-surgical treatment. Your therapist will teach you exercises to mobilize your joints. This may be helpful for reducing swelling and discomfort. You will also learn exercises to increase your hand strength, flexibility, and coordination. The goal of therapy is to restore maximum function to the wrist and hand. 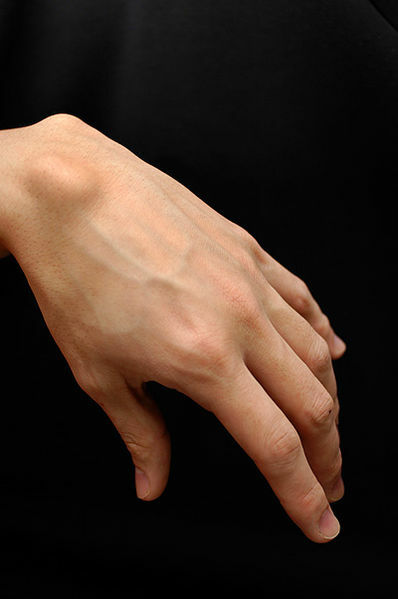 Unfortunately, there's no guarantee that a ganglion cyst won't recur, even after surgery. And as with all surgeries, there are risks to be considered. Though rare, injury to nerves, blood vessels or tendons may occur. These could result in weakness, numbness or restricted motion. Your doctor can help you decide the best treatment for you. Warren Gude and Vincent Morelli. Ganglion cysts of the wrist: pathophysiology, clinical picture, and management. Curr Rev Musculoskelet Med. Dec 2008; 1(3-4): 205–211. Edwards SG, Johansen JA. Prospective outcomes and associations of wrist ganglion cysts resected arthroscopically. J Hand Surg Am. 2009 Mar;34(3):395-400. Kerrigan JJ, Bertoni JM, Jaeger SH. Ganglion cysts and carpal tunnel syndrome. J Hand Surg Am. 1988 Sep;13(5):763-5.